Jude is an experienced and highly-regarded psychologist. She qualified as a Child and Educational Psychologist in 2009 and has worked in both local authorities and directly for schools. Jude has presented at national conferences on challenging behaviour, has provided expert opinion for a national paper on school transition, and has spoken on BBC national radio on mental health in young people. Jude is also an honorary lecturer on the Child and Educational Psychology doctorate at Manchester University. 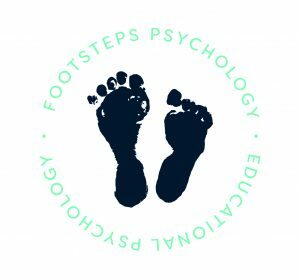 Prior to setting up Footsteps Psychology, Jude worked as the lead psychologist in a Multi Academy Trust whereby she established and led a specialist team who provided a well renowned excellent service to schools. Jude has developed specialist knowledge in the areas of social, emotional and behavioural needs; systemic work within schools; children with delayed development; and speech, language and communication needs within school. Jude has extensive casework experience in these areas for pupils of all ages and has advised schools at a strategic level. Data collated from every aspect of Jude’s work demonstrates impact for both pupils and for schools at a systemic level, quality first teaching and individual level. Jenny Andrews has had a successful career as headteacher, Head of Education Services and latterly Deputy Director of Childrens Services for Manchester City Council. In 2014, Jenny retired from the Council to set up her own company, with the aim of using her skills and experiences to support school leadership and contribute to improving outcomes for children and young people. She has a particular interest in vulnerable children, has led a number of whole-school reviews of Behaviour and Attendance and SEND and contributed to National Think Tank on inclusion. Jenny is an active governor and Chair of a small Multi-Academy Trust. Using her considerable experience governance she has chaired number of Interim Executive Boards, successfully re-establishing local governance models. Jenny has worked directly with school leaders of schools in Oftsed categories, focussing on leadership and management, teaching and learning and personal development, behaviour and safety. 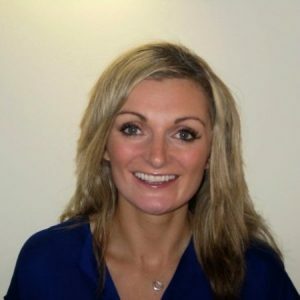 Dr Katie Caddick has worked as an Educational Psychologist for 13 years. She works with children and young people between the ages of 0 and 24, and with a range of parents/carers and professionals across the health, education and care sector. Over the last five years Katie has been working as a Senior Specialist Psychologist in residential special schools, supporting children and young people with social, emotional and mental health needs. She works as part of a clinical team, supporting some of the most vulnerable and challenging children in the country. Prior to this she worked for a Local Authority, supporting clusters of mainstream schools, special schools, nurseries and Children’s Centres. Katie was lead for Primary SEAL (Social and Emotional Aspects Of Learning) in an Authority and has played significant roles in national and local mental health agendas. Katie has enhanced skills in the areas of attachment, complex trauma, mental health, emotional wellbeing and understanding challenging behaviours. She also has enhanced skills in working at a strategic level within schools, supporting them to fulfil whole school initiatives and development plans. She is experienced in providing specialist psychological assessments and therapeutic support based upon the gathering, analysing and interpreting of complex data, and the application of psychological formulation and hypothesis testing. Katie’s aim when working with professionals, parents, carers and children and young people is to apply psychological theory to practice by finding strategies, interventions and recommendations that are effective, targetted and practical for a given scenario and setting. Katie has a background in teaching and has qualified teacher status. Most of Katie’s work is centred around the Midlands but she also carries out joint work with Psychologists from other parts of the country. Katie is the founder of Rise Psychology, https://rise-psychology.com.